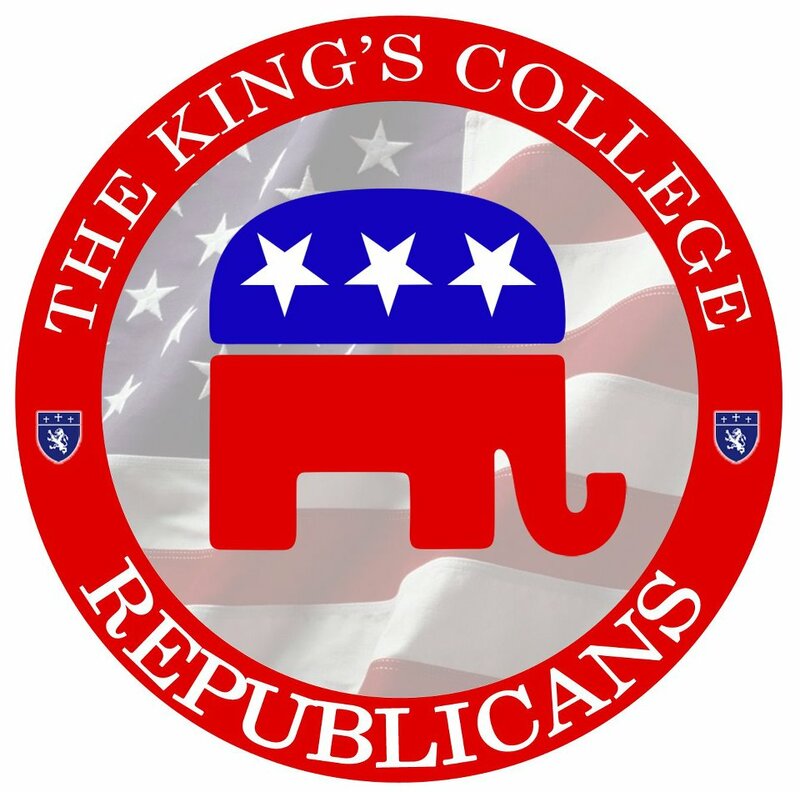 Over the summer of 2011, almost two years ago, I set up a poll on Facebook to gauge interest at King's in a politically-oriented student organization. For all of our readings and discussions of politics, both in and outside of class, I had noticed that, there was minimal involvement by King's students in the political process. In the fall of 2010, when I had first gotten to the city as a freshman, I volunteered for a campaign on the Upper East Side. I didn't know anyone involved. I didn't know anyone interested in getting involved. But I was an ambitious freshman who didn't know any better and had time to kill, so I volunteered for a young lawyer's quest to oust a more than ten term incumbent. Over the next two and a half months, I woke up at 6:30am every weekday to hit the streets and hand out flyers for a couple of hours before heading to my nine o'clock class. When I was done with class for the day, I'd run uptown to campaign headquarters for another couple hours of phone-banking, or assisting the candidate to an event. Most weeks, I ended up clocking in 15 to 20 hours. Despite the fact that my candidate lost, I'm glad I did it. The Dino LaVerghetta and the people who ran his campaign were great to work with, and I learned a lot of things. I learned that it can be extremely frustrating when you're trying to hand out fliers and a dozen people in a row walk by without even acknowledging your existence. I learned that elderly New Yorkers in nursing homes don't get visitors nearly often enough. I learned that it's never a good (read: safe) idea to stand in the middle of the sidewalk during rush hour. But, most of all, I learned that I hate campaigning. I'm not a people person. I never have been, and I never will be. When I'm out meeting with and talking to strangers, I'm completely out of my element. I would never make it in the campaign business. Or even in politics more generally. It just wasn't a good fit for me. I'm glad I realized that early. But there are people who enjoy it. Two of my fellow TKCR founding fathers, my good friends Jeremy Cerone and Chad Abbott, thrive when they're shaking hands and talking to people. They are both exceptional in that regard, and when it comes to their work ethic, even among King's students. Not everyone is like Jeremy and Chad, though. Many more, I suspect, are like I was freshman year: interested in politics and looking to get some hands-on experience. That can be a daunting endeavor, especially if you're new to the city and don't know anyone or where to start. I almost didn't give it a shot, but I'm glad I did. That's why, despite the dubious results of my Facebook poll, I decided to move forward with a political student club. I talked to Jeremy and took him up on his offer to help, and along with Chad and Travis Drost, we moved forward with The King's College Republicans. Lord knows I'm not your typical Republican. I've never declared an official party affiliation on my voting registration and, more often than not, I have a hard time expressing anything but disdain for the Republican Party. But being a good Republican isn't what TKCR is about. The reason I helped found TKCR was to help King's students like myself. We're here to provide opportunities. Maybe you're interested in a future in politics, or maybe it's just a hobby. We're here to connect you to campaigns so you can gain experience – maybe to see if you like it or not, or maybe to start a career in a field that you already love. We're here to connect you to organizations and individuals in New York, New Jersey, and Washington D.C. that you would never otherwise come across and that could help you land that internship or job you've always wanted. These things are much easier to do when you have a group of people working with you who already have connections and experience, rather than having to do all the work on your own. That's why TKCR exists. To enable and empower King's students to have more opportunities than they would otherwise have. So stop on by at one of our meetings, or ask to be added to our email list. We having exciting opportunities coming down the pike and should be pretty busy for the rest of the semester. For more information, send us an email or ask someone you know who's involved. If you're into politics, even if you're like me and not a perfect Republican, we're here to help. Christian M. Stempert is junior majoring in Politics, Philosophy & Economics and a member of the House of Bonhoeffer. He is the Founder and Communications Director of The King's College Republicans, and has previously served as TKCR's Finance Director.